You are starting a manufacturing company. You are considering making rockets, yachts, gumboots or rubbish bins. 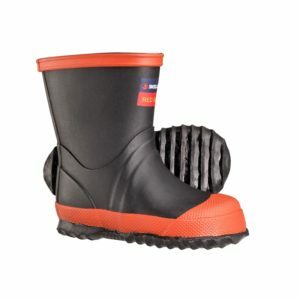 So, you visit SouthMACH, the leading South Island trade show for manufacturers in the know and for aspiring manufacturers who are looking for the best in technology and equipment to help get their business going. The show this year is being held during Techweek 2019. In our highly competitive business world, it is imperative that trade shows such as SouthMACH exist. They are a celebration of the best that can be and highlight the go ahead attributes and attitudes of exhibitors and visitors alike. To have a magical event that brings decisionmakers together can only be for the good; to benefit the fortunes going forward of people committed to enhancing their products and improving their levels of productivity. New Zealand is an innovative country, renowned for ground-breaking developments which succeed on world markets. An example of this is the robot apple picker currently at use on orchards in Hawkes Bay. Or the innovation from Dr Matthew Jones of Christchurch which recently won an Australian award – automated technology that reduces food waste. These two examples support ‘land-based industries’ very well, as this is where seventy three percent of what we manufacturer comes from. Another important role of the trade fair is to provide a meeting place for apprentices and those entering the work force who are seeking inspiration and a direction for their future. There is debate underway these days as to whether going to university is such a big plus when gaining an apprenticeship and obtaining a trade may well be the better option. Less student debt to pay off and a guaranteed and successful future by choosing a trade that will always be in demand. Who doesn’t need a plumber or an electrician or a builder? Currently, Government’s plans to reform the vocational education sector and merge ITO’s and polytechnics is causing a headwind. Real concerns exist about these changes undermining critical workplace and apprenticeship training. New Zealand has a skills shortage and Government needs to sort this mess out, to work with companies, ITO’s and industry groups to provide the very best of outcomes to keep our economy going forward. 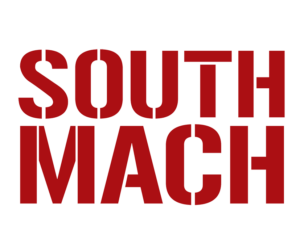 There is a lot to see, do and listen to at SouthMACH 2019. Take Additive Manufacturing. A 2-day workshop is being presented by Professor of Additive Manufacturing and Head of the Creative Design and Additive Manufacturing Lab at the University of Auckland, Olaf Diegel. There is an Entrepreneurs Development Hub where Motovated Design and Analysis and Brush Technology, amongst others, have created a unique environment for creativity and information sharing. Then there is The Lab, an incubator for Kiwi technology start ups to present their work to engineers, manufacturers and investors. Twelve start-ups will display their designs during the show and get advice from professionals. And The Innovation Quarter where the latest in technology for manufacturers and engineers will be on display. So being in this rich environment of creativity for manufacturers ought to be enough to inspire any manufacturer looking to go forward with his business. You may have heard of the book’ Move Fast and Break Things’ and of the definition Disruptive Technology. Think of these when you are wandering around the show. Look for where the opportunities are for your company. Treat these titles in a positive way because within them may well lay the future for your company going forward.